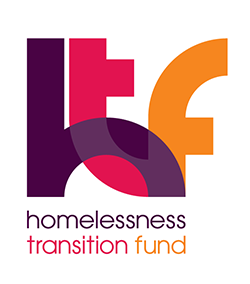 Finding Safe Spaces was commissioned by the Homelessness Transition Fund to understand the experiences of LGBT+ people who have been street homeless. Working with a range of service providers, we were able to speak to and interview directly LGBT+ people who had experienced or were experiencing, rough sleeping. Download the final report. The project worked in Brighton, London and Manchester. At the end of the project, we developed a training toolkit, which was piloted with outreach services in the three cities. to have insight into local and national LGBT+ services who can offer support. One Small Step was a project we ran in 2013. Its aim was to make it easier for volunteers to help isolated older LGBT+ people with small day-to-day tasks, like shopping or walking the dog. The project provided older LGBT+ people with assistance in their own homes through a service that recognised that being safe and able to trust an organisation is an important issue for older LGBT+ people. At the same time, we also recognised that volunteers might not be able to either volunteer at the same time every week, or be able to provide a set number of volunteering hours every week. We wanted the project to fit into their volunteering availability, rather than setting up prescriptive terms and conditions of engagement. Although the final sample size was small, it was evident that the scheme worked: those older LGBT+ clients who were reluctant to attend hospital or GP appointments, for example, were more likely to go if they were accompanied by a volunteer. As well as improving health and wellbeing, it also reduced isolation and loneliness, and increased socialisation. The project resulted in positive feedback from clients and volunteers, as well as a number of partnerships with LGBT+ and other organisations, as well as Dundee University. We were unable to continue with the project because of funding, but would welcome the opportunity to speak with potential partners about building from our experiences and developing the initiative further. of volunteers said that the main reason they volunteered for One Small Step was because it fits in with their lives, unlike other projects that ask for set amounts of volunteering time. The Bridge Project was a research project commissioned by the Equalities and Human Rights Commission (EHRC) in 2015 to understand the experiences of LGBT survivors of hate crimes. The project resulted in a report that included secondary research, a service blueprint and a training toolkit.